This commemorative booklet, will acquaint you with a computer in the Museum’s collection. The IBM 1401 Data Processing System (1959) has had dramatic social, technical and economic consequences, which has been brought back (restored) to life by Museum volunteers. For many customers this was their first computer. New procedures had to be simple. For existing customers, user procedures has to allow for the transition from punched cards to tape-and disk based methods. 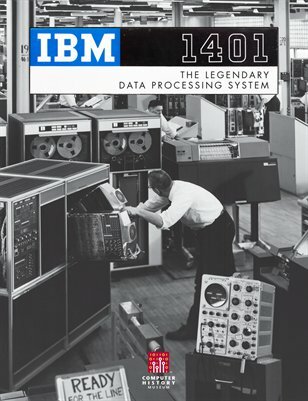 This unique booklet has beautiful imagery of the 1401 and its peripherals, and tells the story of a remarkable computer system.